A-slam Music Productions is an artist and production team that specializes in fusion hip-hop. Since its creation, A-slam has been putting out hit hip-hop/r&b tracks. The company has built a reputation for producing professional hip-hop music, and also being able to fuse hip-hop with Punjabi and Latin influences. In 2007, A-slam received first place in the International Songwriting Competition (hip-hop/r&b category) for their single “For You”. The single came from A-slam’s first mixtape, “Now They’re Talking” which received heavy radio play in Vancouver. The win provided the group with extensive media coverage including the cover of the 24 Hours newspaper, a segment on Global BC news, and various radio & TV interviews. A-slam’s debut album will be out spring 2009, and has already received plenty of buzz on South Asian music forums and websites. 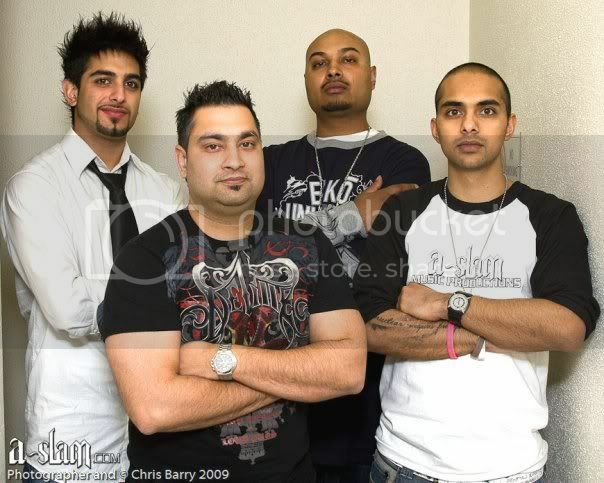 The group is constantly performing around Vancouver and has opened for mainstream acts such as H-Dhami, Malkit Singh, Apache Indian, Fat Joe, Sweat Shop Union, JoSH, and Aman Hayer. Last edited by Supervisor on Tue May 05, 2009 5:35 pm, edited 1 time in total. 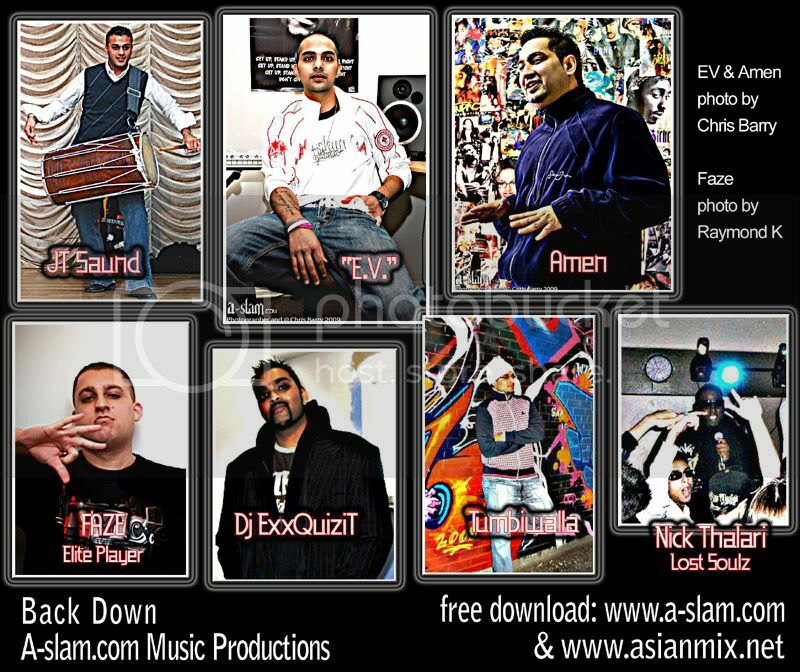 A-Slam are back with yet another new hot track ' BACK DOWN' here is a direct download link for all AsianMix members & guests enjoy. These download has been approved by A Slam to be shared as a Free download!! !